About Smathers Real Estate, Inc.
Smathers Real Estate was founded by R. James Smathers In 1976 at 337 Main Street in Clarion, also known as the former Sears Small Mall. Jim Smathers always believed in putting the needs of the customer and client first. “We're Here To Serve You”. Also in 1976 the first Smathers Real Estate branch office was opened in Marienville. Pa. In 1978, following the disastrous fire of the Sears Small Mall and the total loss of all records and equipment, Jim Smathers moved the business to 400 Main street, which was the previous location of the State Liquor Store. He purchased the building in 1978 where the insurance and real estate businesses operated until 1999. 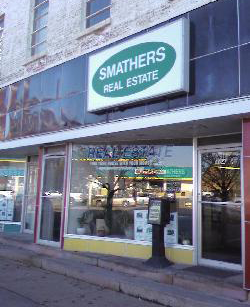 In 1999 Smathers Real Estate moved next door to the Insurance office, 404 Main Street. 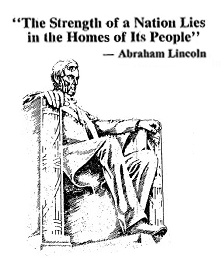 That same year Gregory W. Smathers purchased Smathers Real Estate. Smathers Real Estate handles the Listing and Sale of all types of Real Estate. Smathers Real Estate also offers residential appraisals and property management services. Today Smathers Real Estate has 4 full time sales associates in the Clarion office.